Helen arrives in Appalachian Ohio full of love and eager to carry out her boyfriend’s ideas for living off the land. Too soon, with winter coming, her boyfriend calls it quits. Helped by Rudy, her government-questioning, wisdom-spouting, seasonal-affective-disordered boss, and a neighbor couple, Helen makes it to spring. But Karen and Lily are expecting their first child, a boy, which means their time at the Women’s Land Trust is over. So Helen invites the new family to throw in with her―they’ll split the work and the food, build a house, and make a life that sustains them, if barely, for years. Then young Perley decides he wants to go to school. And Rudy sets up a fruit-tree nursery on the pipeline easement edging their land. Soon, the outside world is brought clamoring into their makeshift family. 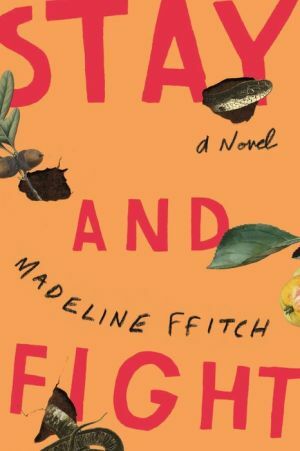 Set in a region known for its independent spirit, Madeline ffitch’s Stay and Fight shakes up what it means to be a family, to live well, to make peace with nature and make deals with the system. It is a protest novel that challenges the viability of strategic action. It is a family novel that refuses to limit the possibilities of love. And it is a debut that both breaks with tradition and celebrates it.